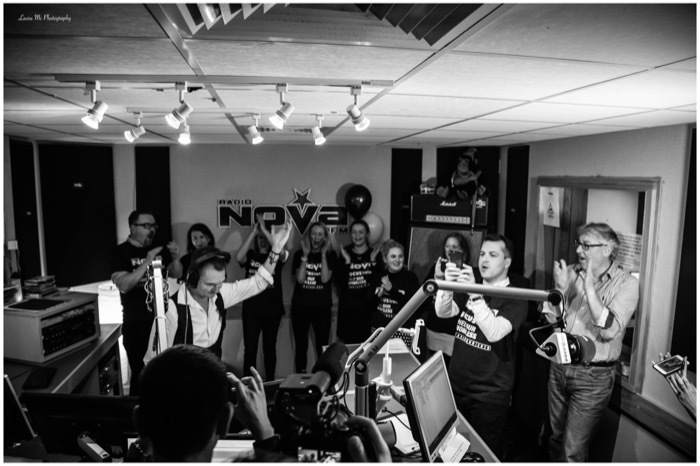 €86,656 has been raised for Focus Ireland during Radio Nova’s 2019 ‘Help Our Homeless Radiothon’. The on-air pledge drive took place over two days – March 13th & 14th – and saw the station raising funds to fight homelessness from listener donations and pledges from local businesses and organisations. It’s the 5th year of Nova’s annual Homeless Radiothon, with the station raising almost €300,000 to date. Last year, Focus Ireland supported over 400 families in moving out of homelessness. However, the latest figures show that there are now a record total of 9987 men, women and children homeless and that the homeless crisis is worse than ever. The Radiothon saw a host of well know faces offer their support to Radio Nova including, broadcaster and comedian Simon Delaney, Irish band Aslan and The Riptide Movement, TV host Dermot Bannon, musician Bressie, and comedians Jason Byrne and Kevin McGahern, with the station broadcasting live from Dawson St. for the duration of the event. Nova set up a Radiothon Call Centre in the radio station, which was manned by Focus Ireland personnel for the duration of the two days. In addition to donations from listeners, the Radiothon was once again supported by Applegreen taking part by placing donation units across the stores for the two days and, for the first time, the Radiothon featured the ‘Friends of Radio Nova’, an initiative that saw more than 40 local businesses, organisations and individuals taking part by organising collections and events to support the Radiothon by hosting coffee mornings, cake sales, running marathons and placing donation boxes in their companies to raise funds for the Radiothon. Nova’s CEO, Kevin Branigan, told RadioToday: “We’re blown away by the support we’ve received from our listeners in raising even more funds for such an important cause as homelessness. Media operations have a huge role to play in helping organisations like Focus Ireland raise funds to tackle the plight of homelessness in our country and we’re very committed to playing our part”.